Adults: As a dietary supplement, take 1 to 2 capsules daily, in divided doses, with meals. If pregnant or lactating, or have a medical condition, consult your physician before taking this or any other product. Keep out of the reach of children. Great product that makes skin healthier looking! I don't really know yet for sure how well this is working, but I think my hair is growing faster since I started taking this. 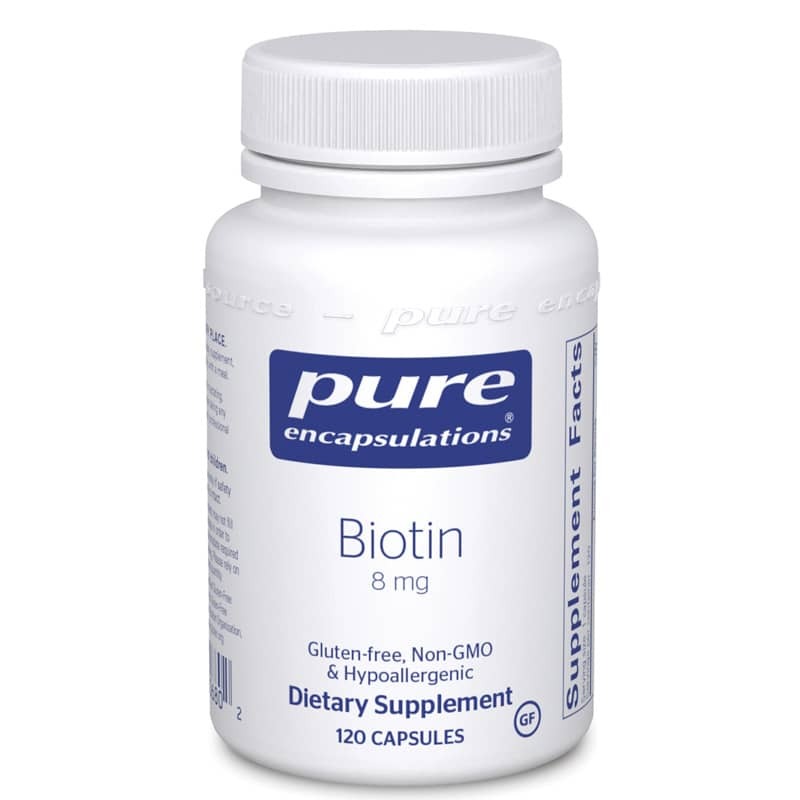 I've heard really good things about Biotin and Pure Encapsulations is one of my "go to" brands since I know they are pure and efficient.